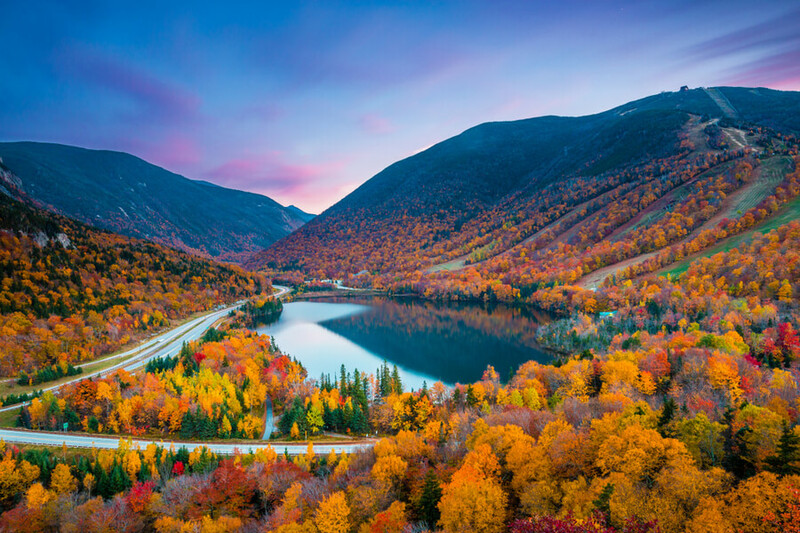 Located in the town of Effingham, near the White Mountains area of New Hampshire, Green Mountain Treatment Center is a residential drug rehab center for adult men and women suffering from substance use and co-occurring disorders. The facility utilizes a holistic, well-balanced approach to treatment which is also integrated and 12-step driven. The center integrates the Stages of Changes Model framework into its curriculum and clients at the facility participate in various treatment options such as body-centered therapies and meditation but also take part in evidence-based treatments like Cognitive Behavioral Therapy (CBT) and EMDR trauma therapy. The facility boasts of a highly-trained, Master’s-level clinical team and heavily engages their services in order to assist patients to recover fully from addiction, chemical dependency, and dual-diagnosis issues. The center does not incorporate any type of addictive medication-assisted treatment methods into its treatment options as it is abstinence-based. Patients receive individualized, comprehensive treatment plans which usually minimize the need for any sort of medication. The facility’s clinical treatment is completely based on 12-step traditions and principles and clients are encouraged to engage in 12-step programs post-treatment. Additionally, the center offers gender-specific treatment programs due to its belief that both women and men require different approaches to recovery. A medical detox program is also available at the center. The treatment center is located about 50 miles from Portland, Maine and nestled in the Green Mountains on 72 acres of land with a serene environment and picturesque views. The facility is capable of accommodating up to 72 people and features luxury accommodations and walking paths. The treatment programs are gender-separate which means women and men’s residencies are situated in different areas. In the women’s program, situated in two large cabins, residents should expect to share bedrooms with one more person although the rooms have private bathrooms and are very spacious. The men’s program takes place at the center’s main area and features a fireplace, cafeteria, couches, and a dining hall. Clients are advised to bring only a single suitcase when coming for treatment along with comfortable clothes, pajamas, enough cigarettes for a month (if necessary), and non-alcoholic toiletries. Electronic devices, games, perfumes, and various other items are prohibited at the center. Meals are served thrice daily and the center employs a full kitchen staff. The food menus meet necessary standards of nutrition and have been curated by a licensed dietician. The facility’s detoxification program is physician-managed and aims to help clients go through the agonizing process of withdrawal as comfortably and safely as possible. The medical staff available in this program includes registered nurses, nurse practitioners, Licensed Nursing Assistants (LAN), and physicians. The residential treatment program implements a 12-step-heavy curriculum and may last between 1-3 months. Patients dealing with co-occurring disorders will find dual-diagnosis support at this stage and residents are encouraged to stay fit by getting involved with yoga and fitness. Residents attend various group sessions per day and also take part in therapy and meditation. Green Mountain at Effingham costs approximately $13,699 for a 30-day stay in a private room and $11,698 for a 30-day stay in a double room but this amount is subject to change as it is greatly dependent on the kind of treatment and level of care a client receives. The facility is an out-of-network provider and is not contracted with any insurance company but is willing to work with private insurances. Clients are advised to contact the facility for more information on coverage and benefits. The facility offers holistic therapy services such as massage therapy to aid relaxation in clients and exploration around the facility with staff members as it is located in a nature-like setting. The facility also offers a program called Pathway program which comes as an additional option to female clients with binge and emotional eating disorders. The length of stay for programs is highly flexible ranging from one week to four weeks. After completion of a primary program, a qualified staff works with the client to generate an aftercare or discharge plan that fit the patient’s unique need. The treatment facility is a well-known and trusted facility which offers well-rounded and comprehensive programs dedicated to clients healthy eating habits in a gender-specific environment. Women with all kinds of eating disorders are accepted even though the main focus at Green Mountain is weight loss. Clients seeking intensive psychiatric help might not find the facility to be the best choice but women seeking treatment from eating disorders will find Green Mountain to be a good choice. Call to the facility by the number providen, if you need more information about the staff involved if the addiction treatment program you’re interested in.